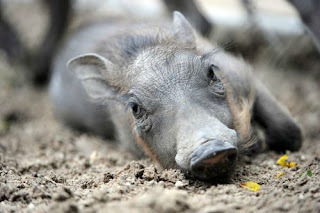 Baby wart hog from Zoo Miami, via (no surprise) Zooborns. The tapir has been featured on this blog regularly. I feel this is justified because they are definitely not conventionally attractive, with their chunky outlines and odd snouts. But I also always feel slightly guilty, unsure whether they belong here because in truth I find them so adorable. I did eventually get a chance to feature the tapir behaving extremely badly on my other blog, which I felt counted as a sort of penance. 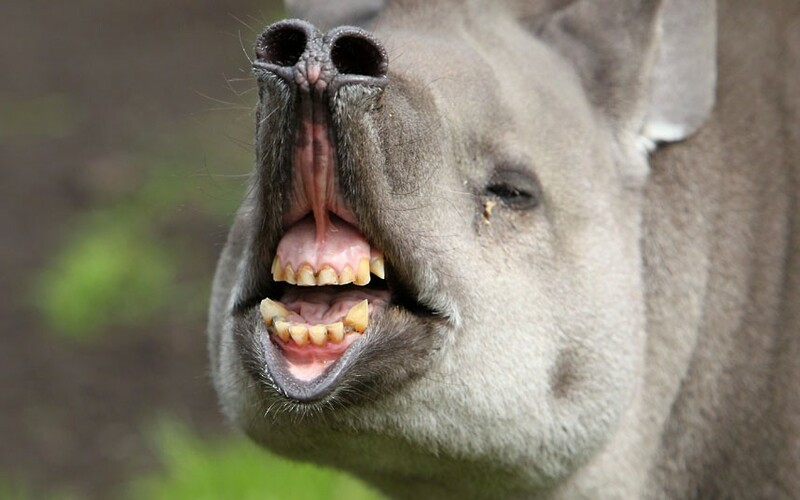 But even better, now I can give you the only picture of a tapir I have ever seen that even I find utterly unattractive. Thanks (I think) to The Telegraph. On other websites, you're probably reading about all kinds of cute animal mothers today. I admit I've committed a bit of this sort of thing myself, but I included some ugly and badly behaved mothers as well. And here, we're going to take this day to honor the horseshoe crab, which is in the middle of its spawning season on Mother's Day. Because here's what's cool about horseshoe crabs: Most of those cute animals make their babies in private. But if you live on the east coast, you can look at this map and find out where and when to go to the beach to see their ancient spawing ritual. Hey, if you live near the beach, it might not be too late to take Mom to see it. And it might not be too late to volunteer for the survey. It just so happens I'm going to be at the Delaware shore at the next full moon, which is one of the best times, so I'm definitely going to try to check it out. 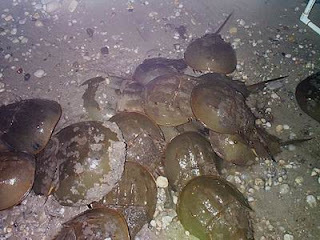 Photo of horseshoe crabs getting it on en masse from the state of Maryland DNR. 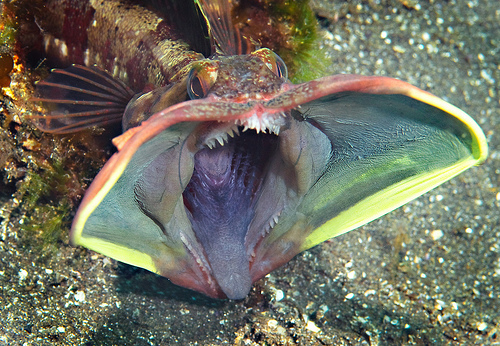 I apologize that real life has been interfering with posting to this blog recently, but I am never too busy to read and steal from direct your attention again to Archie McPhee's Geyser of Awesome where you should really go and read their post on this amazing photo of a sarcastic fringehead. 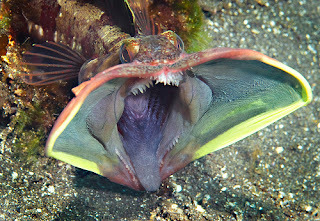 If you check out the comments on our previous post about this fish, one commentor says that the strange name is explained by the fact that "sarcastic" is derived from a word that means "the tearing of flesh." I don't know if that is true, but as a story it is definitely what we call in the news business "too good to fact-check," so I'm going to leave it at that. 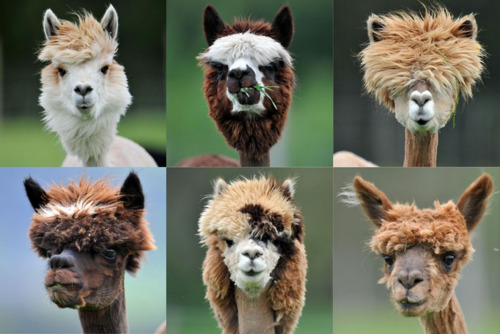 These are some alpacas at a farm in Austria where reportedly "the annual shearing of Alpacas is done in the spring to make the animals more comfortable for the summer months." I get the urge to have exactly the same thing done to myself at this time of year, and maybe you do too. So let's take this as a warning. Photo from The Telegraph, via our friends at Archie McPhee.